The Court of Appeal has ruled that the supply of software electronically does not constitute “goods” under the Commercial Agents Regulations. A recent case has highlighted an issue which is becoming of increasing importance, concerning when electronically supplied software should be treated as “goods” and when it should not be. In March 2018 the Court of Appeal acknowledged that this is an area of law which must be reformed by UK or EU legislation, rather than the Court itself. Until this happens, the status of software could be determined inconsistently, depending on the context, but this decision does provide some helpful direction on how the Courts are likely to approach this area in the meantime. The Court of Appeal has allowed an appeal, overturning a decision made by the High Court, in relation to the question of whether software supplied electronically is ‘goods’ under the Commercial Agents Regulations (the Regulations). The case was between Computer Associates UK (CA) and The Software Incubator Limited (TSI). TSI was appointed in March 2013 as an agent to promote and sell CA’s software, and the two parties had entered into an agreement to reflect this. TSI then went on to enter into an agreement with another company called Intigua, to supply Intigua’s software on similar terms to the agreement TSI already had with CA. TSI would therefore now be marketing CA’s software and Intigua’s software. CA believed that by entering into a similar agreement with Intigua, TSI was in breach of its duties to devote substantial time and effort to performing its obligations under the agreement with CA. CA argued that TSI was not permitted to engage in any activity competing directly with the obligation to sell CA’s software. On this basis, CA terminated its agreement with TSI. The case reached the High Court after TSI brought a claim against CA for compensation due to CA’s termination of the contract, which it was entitled to as a supplier of “goods” under the Regulations. CA argued that the supply of downloadable software did not amount to the sale of “goods” within the meaning of the Regulations, so no compensation should be due. Further, CA argued that TSI was in breach of contract by entering into a contract to supply Intigua’s goods. The High Court found in favour of TSI and held that there was no breach of contract as a result of its decision to also market Intigua’s software. The High Court also found that TSI’s supply of CA’s downloadable software constituted the sale of ‘goods’ within the meaning of the Regulations, such that it was entitled to compensation for CA’s termination of the contract. The case escalated to the Court of Appeal when CA appealed against the decision at first instance. The Court of Appeal upheld the High Court’s judgment on the question of breach of contract; TSI’s agreement to supply Intigua’s software was not a breach of its contract with CA. However, the Court of Appeal considered the differences between tangible and intangible property and determined that the High Court was wrong to find that TSI’s supply of CA’s downloadable software constituted the sale of ‘goods’ under the Regulations. The Court of Appeal reflected on how previous cases, in the main, have held tangible property to be “goods” and intangible property not to be “goods”. The Court of Appeal acknowledged that to distinguish between “goods” according to whether or not they are tangible “seems artificial in the modern age.” However, this was not enough to persuade the Court of Appeal that it was right to “impute…a common-sense meaning of ‘goods’ to the legislators of the Directive in 1986 and the Regulations”. 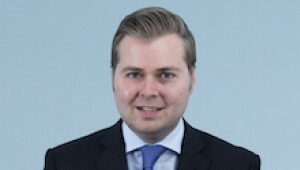 In reaching a decision the Court of Appeal also considered the Consumer Rights Directive 2011/83/EU (CRD), and noted that although commercial parties do not require the same protections as consumers, it is important to acknowledge the reference made in the CRD to “digital content”; the supply of which creates a new type of contract and underlines the point that only tangible objects should be classified as ‘goods’. Following judicial authority that supports upholding the distinction between goods which are tangible and intangible, the Court of Appeal therefore decided that the High Court was wrong to hold that the supply of software in a digital format amounted to the sale of ‘goods’. As a result it seems from this judgment that it is possible to have software supplied in a tangible form (via USBs or CDs, for example) which would qualify as “goods” under the Regulations, and in an intangible form (via downloads), which is not considered to be goods. In future, businesses engaging agents to sell their software products should take account of the risks of compensation payments under the Regulations when those relationships come to an end. Careful consideration will need to be given to the terms of an agent's overall commission structure, depending upon wherever the software being marketed constitutes “goods” under the Regulations.